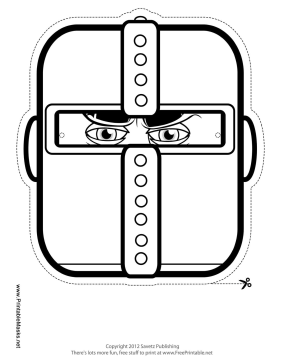 This knight outline mask is rectangular and shape and leaves only an eye slit exposed. Ride your broom pony off to your next adventure with this helmet for certain victory. This mask is free to download and print.